State filters on social media apps have reduced the efficiency of relief operations in flood-hit regions of Iran, according to an official working for a state agency that publishes public awareness statements. "If filtering was not an obstacle, the rescue operations would have been more effective," tweeted Alireza Moezi, the secretary of the government's Information Council, on March 24, 2019. "Let's learn from experiences." Moezi also stated that those who have been able to share information via the apps by using virtual private networks (VPNs) which enable users to bypass state filters have helped relief efforts. "Conventional media have fallen behind because they are not able to share information easier and quicker than social media," he said. "Messaging apps and social media have played an outstanding role as rescue information carriers, especially Telegram and Twitter [both filtered in Iran]," he added. The hardest-hit provinces are primarily located in south and central Iran, including Fars, Isfahan and Yazd. The governor-general of Khuzestan Province had declared a state of emergency after flooding swallowed buildings and bridges in his region on March 31. "It's not right to block people who are trying to save their lives"
Popular social media networks like Facebook and Twitter offer free, built-in tools that allow users to inform the public about natural disasters, request help, or mark themselves as "safe." Unable to effectively censor content on the apps, the Iranian government has blocked access to many of them in the country. 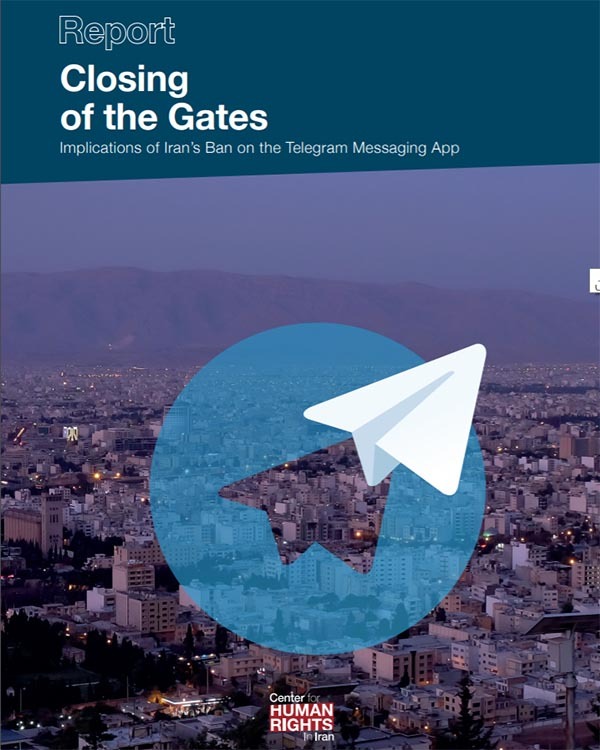 The widely used Telegram messaging app had 40 million monthly users in Iran according to the company before it was filtered in May 2018. "You know people need to share information so why aren't you lifting the filter on Telegram?! You know most people use Telegram and the national media organization [Islamic Republic of Iran Broadcasting] has never been cooperative when you needed help and it's incapable of doing anything. Are you saying that the people should suffer even under these circumstances? #floods @azarijahromi," Iranian user Nazanin Matinnia tweeted at the minister of information and communications technology on April 1. Some officials meanwhile called for the bans to be lifted. "I wish that the honorable Prosecutor [General Mohammad Jafar Montazeri] would at least temporarily lift the filter on Telegram so that the people could use it as a means of communication," tweeted Member of Parliament Mahmoud Sadeghi. Journalists also struggled to get information to the public, in some cases asking colleagues to post information for them because various VPN tools, which are used to bypass state filters had suddenly become unusable during the flooding. One Iranian user tweeted: "Vahid Basereh, one of the local reporters in Ilam [city], sent me these photos via WhatsApp and wrote: 'My VPN does not work. Please share this information: Because of relentless rains there are landslides and falling rocks from the mountains at the entrance to the city." Commenting on that tweet, BBC Persian reporter Kayvan Hossein wrote: "This tweet has two important aspects both of which are terrifying: One about the dangerous situation caused by landslides and falling mountain rocks and the other about his VPN not working. In situations where sharing information is vital, censorship can turn into a deadly phenomenon." Parvin Mohammadi, who describes herself as a child psychologist, tweeted: "The villages in Lorestan Province are grappling with floods and yet they have lost the only means they have to seek help. There's no news from these villages. There's no internet connection. Messaging apps work with VPNs but the connections are so weak that it's almost impossible to share information. In the midst of this flood, what are you doing young minister@azarijahromi?" Jalal Rouhani, who identifies herself as an information technology expert, tweeted, "I wish Twitter was not filtered. Damn all three of them: those who imposed the filters, those who imposed the sanctions and extremists." Journalist Parastoo Beiranvand tweeted: "In the current crisis conditions, when roads are being cut off and we can't get information from the people, it's necessary to allow communications without filters. Shouldn't you think about this young minister @azarijahromi and at least temporarily remove the filters?" Entrepreneur Jalal Ofteadeh tweeted: "I wish at least they would open access to Twitter and Telegram to be able to share information about the crisis and when the water recedes they can filter it again. Of course, maybe they think sharing information is not good under any circumstances." Reporter Hossein Dehbashi tweeted: "The Twitter accounts belonging to the supreme leader, the head of the General Staff of the Armed Forces, the judiciary chief and the head of the National Auditing Organization are issuing urgent and decisive orders concerning the handling of floods in Golestan Province. This is at a time when Twitter is filtered and you cannot access it without a VPN. Well, this will later be hard to explain for history." 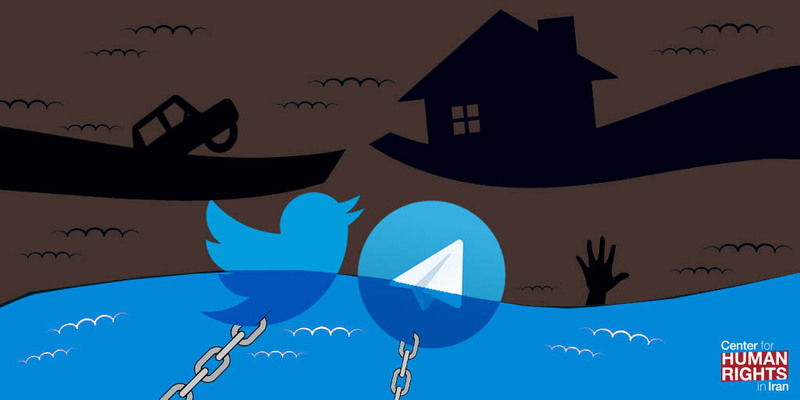 Activist Sina Qelich wrote: "Under these circumstances, the Crisis Management Organization can make a request to lift the filter on Telegram. Despite the filter, Telegram has been the main source of information. It's not right to block people who are trying to save their lives. Last week Iranian authorities warned citizens that they could be prosecuted for posting images or videos online about the flooding under the charge of "disturbing public opinion."